Thousands of children of Burmese migrant workers in Thailand are missing out on an education, specialists say. Under Thai policy, all children, regardless of their status in the country, can attend school, but many migrant children do not. While some cite problems of language or the lack of resources of individual schools, others have to work to support their families. Many attend migrant learning centres run by local NGOs instead, which are not recognized by the Thai Ministry of Education. Of the estimated 2.2 million migrants who live and work in Thailand, just over 500,000 are officially registered, making exact calculations of how many children are among them difficult. About 80 percent of all labour migrants in the country are Burmese, with the rest from Cambodia and Laos. According to a recent report by the International Organization for Migration (IOM), an estimated 200,000 migrant children younger than 17 are in the country. 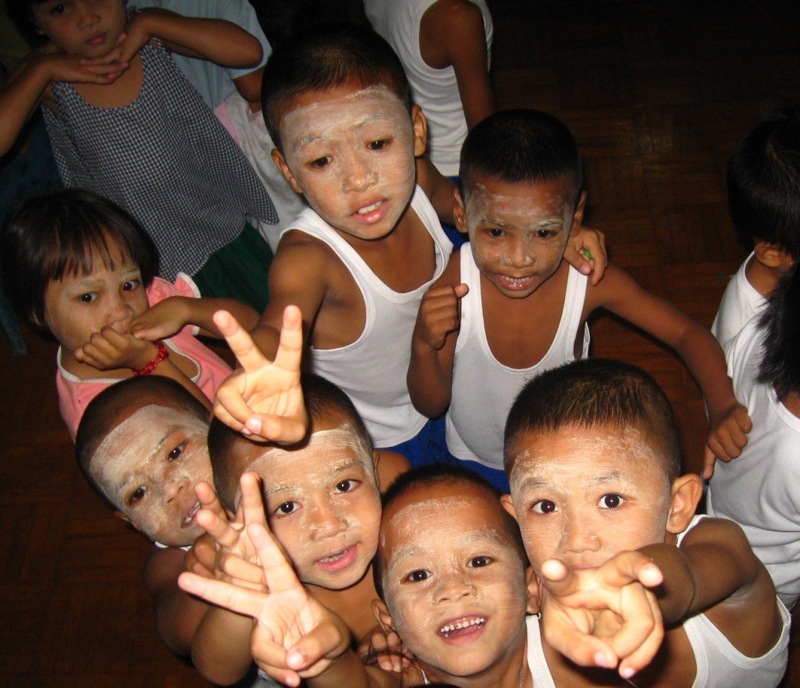 However, some NGOs estimate there could be as many as 500,000 children born to Burmese parents in Thailand. At least 2,000 Burmese children are born in Thai hospitals each year, while unknown numbers are born at home or outside, in orchards or plantations. In August 2005, the government adopted a policy entitled "Education for All", with the aim of giving all children in Thailand equal access to schooling. According to the Peace Way Foundation in Thailand, a migrant child could only be educated if a teacher was willing to accept the child and the family could afford it. Children could attend classes, but with little hope of obtaining a Thai certificate of education, which is essential for further study. "In practice, this is challenging to implement for a number of reasons," Amanda Bissex, chief of the child protection section with the UN Children's Fund (UNICEF) Thailand, told IRIN. "Access to education for migrant children is impeded by understanding of the cabinet decision at the local level; extra costs associated with education, for example, school uniforms and text books, availability of suitable education and language of instruction." In addition, there is the language barrier and financial struggles for Burmese children, while teachers have their own difficulties, education specialists said. "The teachers' and communities' attitude toward migrant children have to be properly approached so that the EFA [Education for All] can be implemented effectively," Rangsun Wiboonuppatum, a UNICEF education officer, said. He also explained that during the first few months of enrolment, some children had difficulties adapting, especially students who had not yet developed their communication skills or were over 10 and entering school for the first time. Those students were put in first-grade classes, which are difficult to adapt to different age groups, while teachers were not equipped for this situation. Meanwhile, for those unable to attend Thai schools and going to local learning centres run by NGOs in their area, additional challenges remain. "We're giving [free] education to as many students as we can, but there are many students who cannot come to our learning centres, which calls for further intervention measures," said Thein Lwin, who runs the Children Learning Center in Chiang Mai, teaching Burmese, Thai, English and Maths, in northern Thailand. In migrant schools, children are taught in their native language and in many cases follow the Burmese educational curriculum with additional courses such as Thai language and computer skills. However, after completing high school, these young graduates do not have any prospects of attending university, as their education is not officially recognised by the Thai Education Ministry. "Without education, they [Burmese children] will have no chance to make a better life wherever they live, in Thailand or Burma," Myint Wai, deputy director of the Thai Action Committee for Democracy in Burma, said. "We have to get our school officially recognized by the Thai government so the children can continue further studies in the Thai education system," Paw Ray, chairwoman of the Burmese Migrant Workers Education Committee, said. Thai authorities are reportedly drafting the legal status for such learning centres operated by NGOs to certify their education.